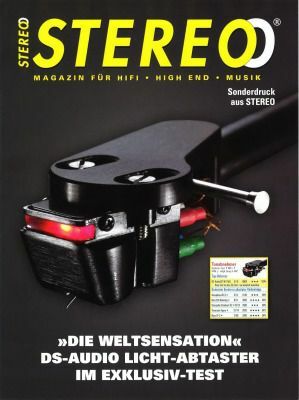 DS-W1 took the front-page of Stereo Magazine May issue, under the title of “DIE WELTSENSATION” (The world Sensation). 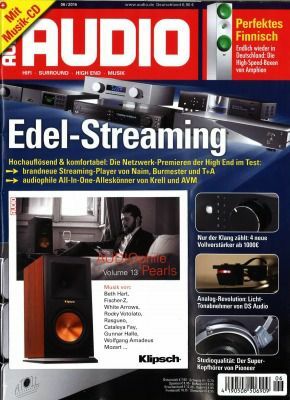 Stereo Magazine covered 4 pages of exclusive DS-W1 article and concluded that DS-W1 would be their top reference cartridge (“Tonabnehmer ToP-Referenz”) for all their analog products reviews. 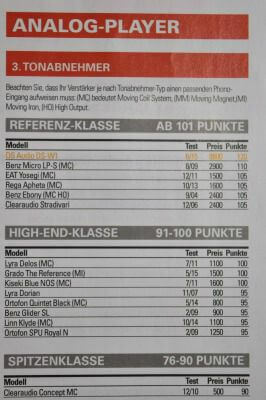 In the article, Stereo magazine evaluated DS-W1 as Sound-level 100% (highest review points). 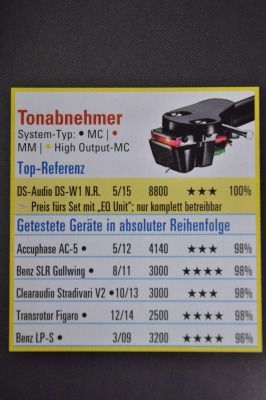 In sound-quality category,DS-W1 was evaluated at the highest point and all the previously tested cartridges were equally devalued one point at the same time. DS-W1 got 100% sound level! DS-W1 got 120% point! 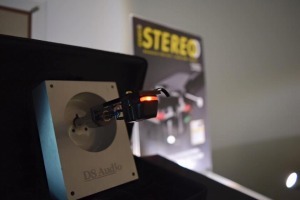 von DS Audio”, and gave their exclusive 4 page review on DS-W1. is the highest point ever given to any cartridges before. (Highest point was 110 before DS-W1). It is a great honor to receive such wonderful evaluations from Germany. However, in our mind, this is the first step and the first milestone to pass through. 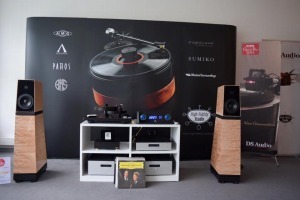 Our dream and wish is to provide the very best of DS-Audio sound to the audio-piles in the world.